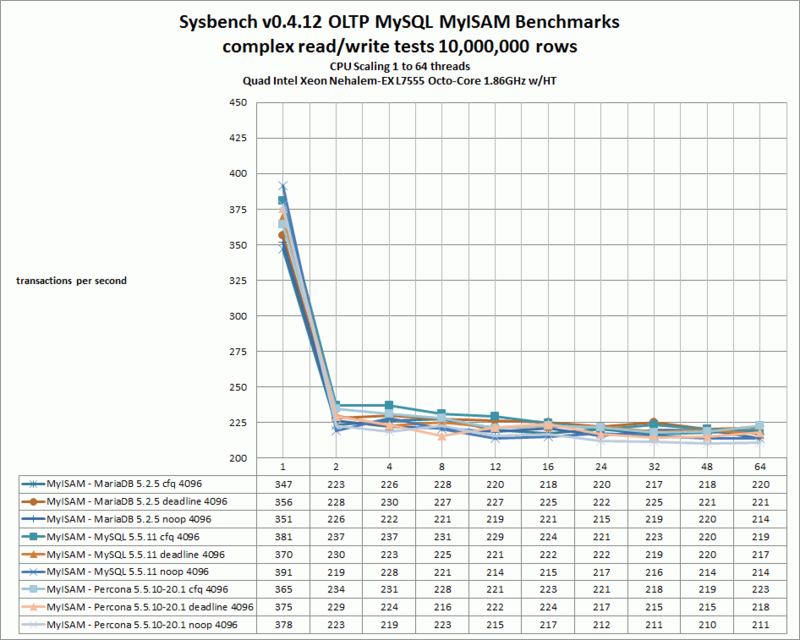 Updated MySQL benchmark results for MySQL 5.5.11 vs Percona 5.5.10-20.1 vs MariaDB 5.2.5 were made possible as I managed to gain further access to the Quad Intel Xeon Nehalem-EX L7555 Octo-Core 1.86Ghz, 64GB memory server. Apparently, it sat untouched for nearly 3 weeks after I last used the server as the owner is switching to Dual Intel Xeon X5690 Hexa-Core 3.46Ghz Westmere based server with 2x 6 = 12 physical cpu cores and 12 virtual cores via Hyperthreading = 24 CPU cores total. I’ll update blog post and the charts here later on to add Percona 5.5.10-20.1 and MySQL 5.5.11 results to the mix. 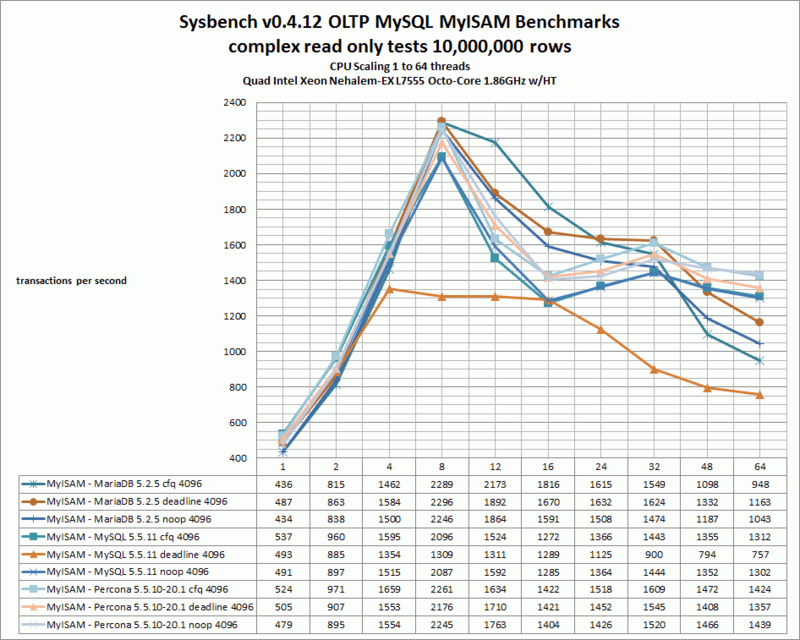 For now, here’s summary of the MySQL benchmark comparison between MariaDB 5.2.5, Percona 5.5.10-20.1 and MySQL 5.5.11 using Sysbench v0.4.1.2 OLTP tests on both MyISAM and InnoDB storage engine configurations. The Sysbench test configuration settings and my.cnf settings used were all the same as listed in the original tests here.